The area surrounding Elgin, Arizona is often referred to as the Mountain Empire, with the Santa Rita Mountains in the west, the Patagonia Mountains to the southwest, the Whetstone Mountains in the east, and the Hauchuca Mountains in the southeast. In between all these mountain ranges lie rolling hills and several different vineyards. The wineries of the small community of Elgin are located around an hour away from Tucson, making them a great day trip during a visit to the city. Callaghan Vineyards first began in the year 1990, established from a love of the wines of Europe. The vineyard is completely committed to the growth and production of the finest wines possible in the Sonoita area of Arizona. Kent Callaghan planted the vineyard’s original vines along with his father. Kent has tended to the vines himself and made each wine every since the beginning of the vineyards. Guests are welcome to come and visit Callaghan Vineyards and try some of the wines it produces at the winery, as well as learn more about the vineyard and the winemaking process. Lightning Ridge Cellars is a family owned and operated winery that started in the year 2005. The small winery is representative of years of work from the ground up, and proudly produces wines that are based on an Italian heritage. The estate wines at Lightning Ridge are produced using classic Italian varietals, such as Muscat Canelli, Malvasia, Primitivo, Montepulciano, Nebbiolo, and Sangiovese. Wine tastings includes a sample of several wines and a custom-etched glass. Visitors receive a discount for brining a wine glass from another winery to use for the tasting. Tastings are offered on Friday, Saturday, and Sunday. Flying Leap Vineyards is situated in the heart of the wine country of Arizona, in the Sonoita American Viticulture Area near Tucson. The humble winery and tasting room are located amongst a meticulously maintained and beautiful vineyard estate with expansive views of the vines and nearby mountains. The winery offers a great place for any wine lover looking for a relaxed, quality experience in wine tasting in a scenic, quaint, and low-density setting. The tasting bar in the winery is made out of Arizona mesquite, and the atmosphere is filled with the smell of wine and oak. Sonoita Vineyards is the state of Arizona’s oldest commercial winery and vineyard. Established back in 1974 and first opening to the public in 1983, the vineyard now boasts more than thirty acres of different vines. Several varietals of grapes are grown on the hillside vineyard, including Pinot Noir, Sauvignon Blanc, Sangiovese, Petite Sirah, Syrah, Cabernet Sauvignon, Merlot, Mission, and Chardonnay. 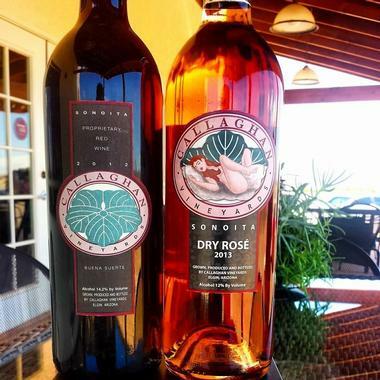 Sonoita Vineyards consistently produces award-winning wines with the help of the region’s unique growing conditions. Wines created by Sonoita Vineyards are hand bottled, capped, and labeled in small batches, numbering less than two thousand bottles per vintage. 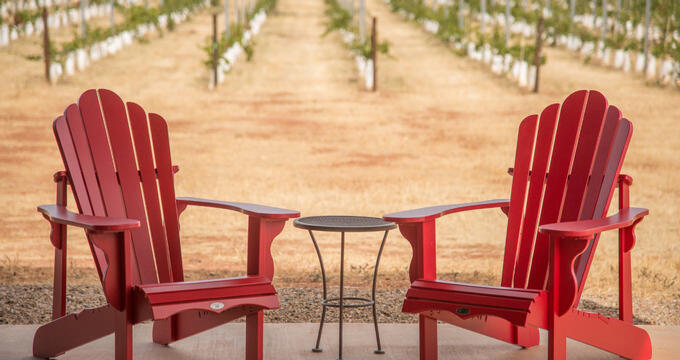 One of the Elgin/Sonoita region’s largest family-owned wineries, Rancho Rossa Vineyards produces around 1,100 cases of delicious wine every year from its twenty-four acres of vines. The winery is the only winery that is hundred percent estate within the Sonoita Viticultural Area, meaning that Rancho Rossa only uses the grapes it grows to make its wines. The tasting Room at the winery is comfortable and laid back, welcoming visitors to relax and simply enjoy their wine during a visit. The staff love to talk with guests and provide a great tasting experience. The winery specializes in dry, ultra-premium varietal wines. The Village of Elgin Winery is the Sonoita AVA region’s largest wine producer. The winery is a family-owned small winery that still makes wine in the more traditional way. The wines produced at the Village of Elgin are classically styled, then aged in some of the finest European wood. Wines made here are reflective of the Arizona terrior’s subtle grace, with a variety produced to please the tastes of all customers, and aged in Stainless Steel, Italian Chestnut, Hungarian Oak, and French Oak. The traditional manner of producing the wines involves hand harvesting, hand sorting, and foot stomping red grapes.